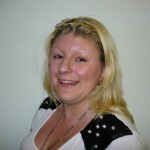 Vicky has been on the Connect in the North board of directors since 2010. She was elected chair in 2011. Vicky chairs the board meetings. She also supervises the paid director. Vicky works full time for Interserve at Trinity.